Fact: Everything sounds cooler when you add the word “space” to it. Take space mattresses, for example – or our favorite, space ice cream. 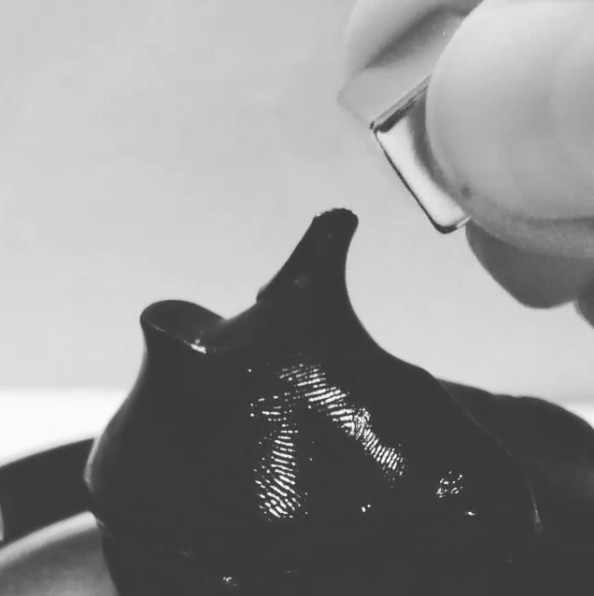 But there’s a new item at the top of our space wish list: this magnetic space putty. While it may not be as authentically astronomical as some space-themed gifts, we love that it’s both playful and practical. Plus, the fact that you can actually hold it in your hands gives it an immediate edge over adopting a piece of space junk. So if you’re looking for a stellar way to treat yo self, we suggest space putty. The first thing you need to know about space putty is that it’s magnetic. That means you’ll need some magnets to get the most out of your new toy. You can use the magnets to attract the putty and make it move. Or, if you’re feeling a little more gloomy, you can put a magnet on top of the space putty and watch it get swallowed whole. But seriously guys, it’s like watching something get sucked into a black hole. So bleak, but in such a good way. The putty’s magnetic properties also serve a more practical purpose. If you keep this stuff at your desk, you can create your own magnets when and as you need them. Not too shabby, right? In a worst case scenario, you can also use it like regular sticky putty. And in case all of those uses aren’t awesome enough, it turns out space putty is also good for self-care. The putty works like a squeezy stress relief toy – you’ve probably seen those foam or gel balls they sell at travel stores. Since your body clenches up when you’re under stress, squeezing and releasing a stress toy helps you to relax.